Though previously well adjusted and known as an extrovert, Acland now withdraws into himself. As he begins his recovery in a dismal provincial hospital, crippled by migraines and suspicious of his doctors, he grows uncharacteristically aggressive-particularly against women, and most particularly against his ex-fiancee. Finally, rejecting medical advice to undergo cosmetic surgery-opting, instead, to accept his disfigurement-and cutting all ties to his former life, he moves to London. There, alone and unmonitored, he sinks into a quagmire of guilt and paranoia-until an outburst of irrational, vicious anger brings him to the attention of the local police: they are investigating three recent murders, all of them apparently motivated by the kind of extreme rage that Acland has exhibited. Now under suspicion, Acland is forced to confront the issues behind his desperate existence before it's too late: Has he always been the duplicitous chameleon that his ex-fiancee accuses him of being? Can he control this newly apparent sinister side of his personality? And why, if he truly hates women, does he in the end seek help from a woman-someone as straightforward and self-disciplined as he is unsure and seemingly out of control-to repair the damage to his mind? 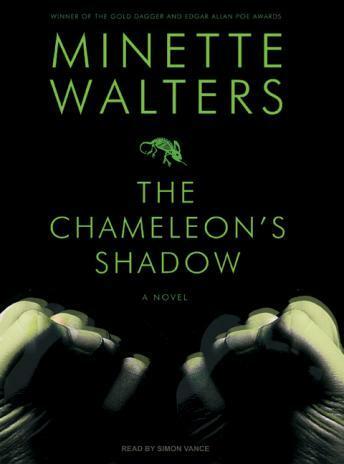 In its timeliness, its psychological complexity, and its unstoppable suspense, The Chameleon's Shadow is a thriller of the first order.